Skincare brand Clé de Peau Beauté‘s latest Radiance Trio is a three-part skincare system that will nurture your skin, restoring radiance by illuminating cells. When it comes to skincare, Clé de Peau Beauté is unparalleled in efforts to create innovative, effective and advanced products to rejuvenate skin. The latest in the brand’s series of products is proven to add luminosity to skin, as well as a fine texture and firmness. The skincare treatment comprises three products, all houses in glimmering faceted bottles. After cleansing, use the first, Le Serum, rejuvenates the skin by targeting the cellular level, enhancing the skin cell’s ability to choose nutrients effective for maximum results and optimal nutrient absorption. Finally, the Intensive Eye Contour Cream targets the most delicate area of the skin. 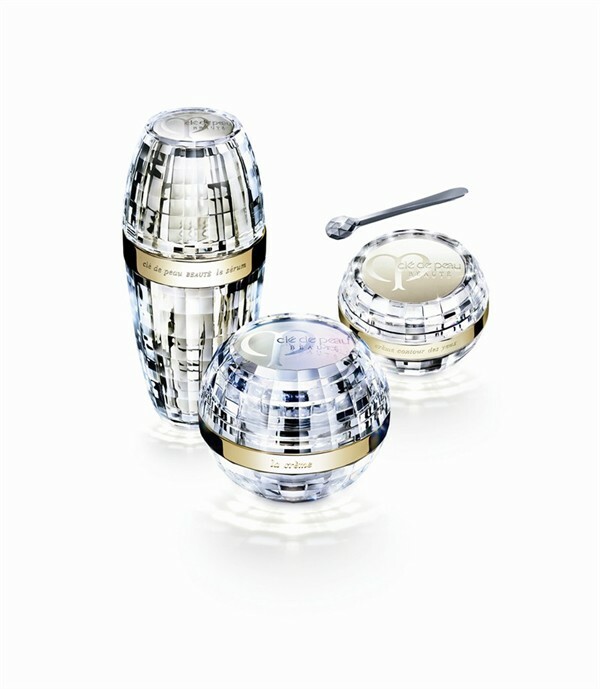 Use the gem shaped eye massager, created especially for this cream, to smooth in the cream. It aims to rectify problems with dimension, texture and color, three of the biggest problems in the eye area. The cream redefines eye contours and lights up the eye area. Use with La Creme, Clé de Peau Beauté’s bestselling transformative cream that uses advanced ingredients and technology that effectively tightens and brightens skin, for best effects.